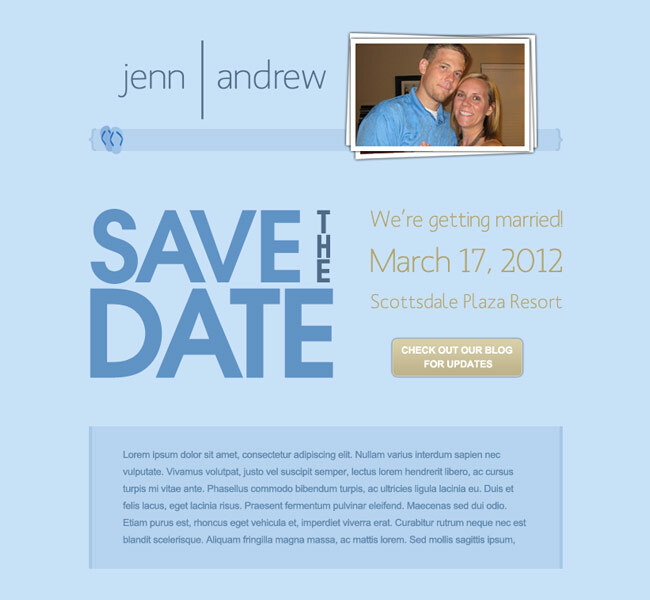 This engaged couple needed a fun design for their email save-the-dates. The laid back wedding will have a bit of a beach theme with blue and tan colors, so we used these elements to create a classy but fun email for them to send out to their family and friends. Guests can click straight from the email to their wedding website, where they can read more about the big day and the events leading up to it.